Rain-triggered lahars are significant secondary hazards at volcanoes where pyroclastic material is exposed to rainfall. 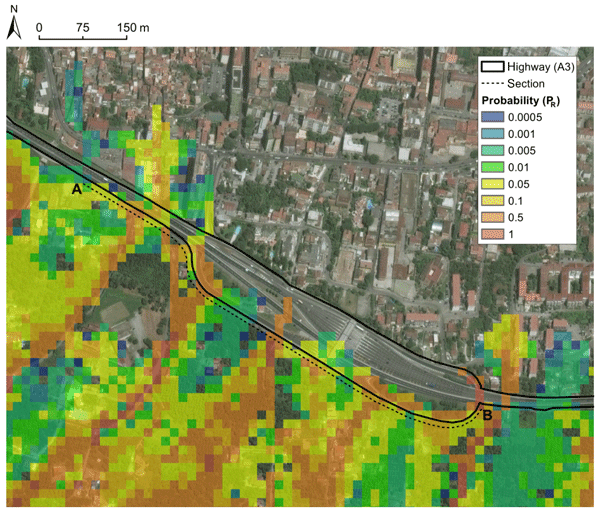 Lahar risk mitigation typically relies upon ground-based flow detection or observation; however this study uses rainfall data and instrumental lahar records from the Belham valley, Montserrat, to devise new rain-triggered lahar prediction tools. These tools demonstrate the potential to effectively forecast lahars in real time, even in areas featuring strongly seasonal climates. 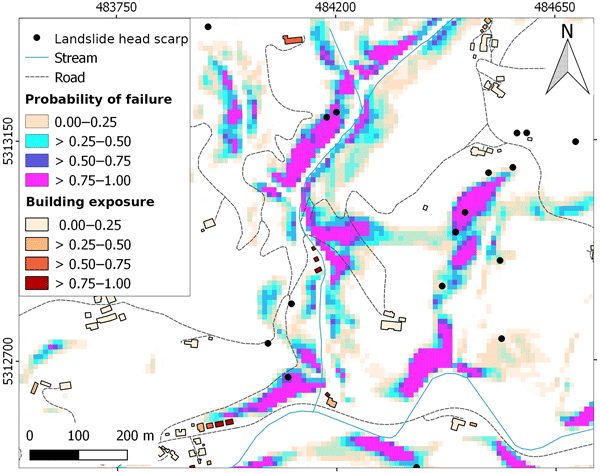 Ahmed, B.: Landslide susceptibility mapping using multi-criteria evaluation techniques in Chittagong Metropolitan Area, Bangladesh, Landslides, 12, 1077–1095, https://doi.org/10.1007/s10346-014-0521-x, 2015. Alcántara-Ayala, I., Sassa, K., Mikoš, M., Han, Q., Rhyner, J., Takara, K., Nishikawa, S., Rouhban, B., and Briceño, S.: The 4th World Landslide Forum: Landslide Research and Risk Reduction for Advancing the Culture of Living with Natural Hazards, Int. J. Disaster Risk Sci., 8, 498–502, https://doi.org/10.1007/s13753-017-0139-4, 2017. Alexander, D.: Urban landslides, Prog. Phys. Geog.-Earth and Environment, 13, 157–189, https://doi.org/10.1177/030913338901300201, 1989. 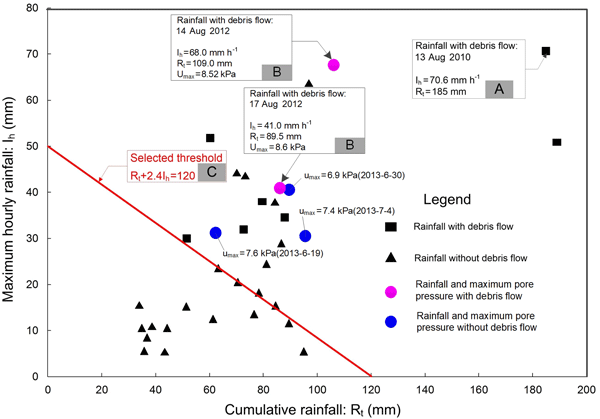 Allen, S. K., Rastner, P., Arora, M., Huggel, C., and Stoffel, M.: Lake outburst and debris flow disaster at Kedarnath, June 2013: hydrometeorological triggering and topographic predisposition, Landslides, 13, 1479–1491, https://doi.org/10.1007/s10346-015-0584-3, 2016. Anderson, M. B.: Metropolitan areas and disaster vulnerability: a consideration for developing countries, in: Environmental Management and Urban Vulnerability, edited by: Kreimer, A. and Munasinghe, M., World Bank discussion paper #18, World Bank, Washington DC, 1992. Anderson, M. G. and Holcombe, E.: Community-Based Landslide Risk Reduction: Managing Disasters in Small Steps, World Bank Publications, 2013. Anderson, M. G. and Holcombe, E. A.: Sustainable Landslide Risk Reduction in Poorer Countries, Proceedings of the Institution of Civil Engineers-Engineering Sustainability, 159, 23–30, 2006. Anderson, G. and Ge, Y.: Do Economic Reforms Accelerate Urban Growth? The Case of China, Urban Stud., 41, 2197–2210, https://doi.org/10.1080/0042098042000268410, 2004. Anhorn, J., Lennartz, T., and Nüsser, M., Rapid urban growth and earthquake risk in Musikot, mid-western hills, Nepal, Erdkunde, 69, 307–325, 2015. Ashok, K. and Saji, N. H.: On the impacts of ENSO and Indian Ocean dipole events on sub-regional Indian summer monsoon rainfall, Nat. Hazards, 42, 273–285, https://doi.org/10.1007/s11069-006-9091-0, 2007. Barnard, P. L., Owen, L. A., Sharma, M. C., and Finkel, R. C.: Natural and human-induced landsliding in the Garhwal Himalaya of northern India, Geomorphology, 40, 21–35, https://doi.org/10.1016/S0169-555X(01)00035-6, 2001. Bennett, G. L., Miller, S. R., Roering, J. J., and Schmidt, D. A.: Landslides, threshold slopes, and the survival of relict terrain in the wake of the Mendocino Triple Junction, Geology, 44, 363–366, https://doi.org/10.1130/G37530.1, 2016. Bhatia, M. and Khalid, A. K.: Information retrieval and machine learning: Supporting technologies for web mining research and practice, Webology, 5, available at: http://www.webology.org/2008/v5n2/a55.html (last access: 15 February 2018), 2008. 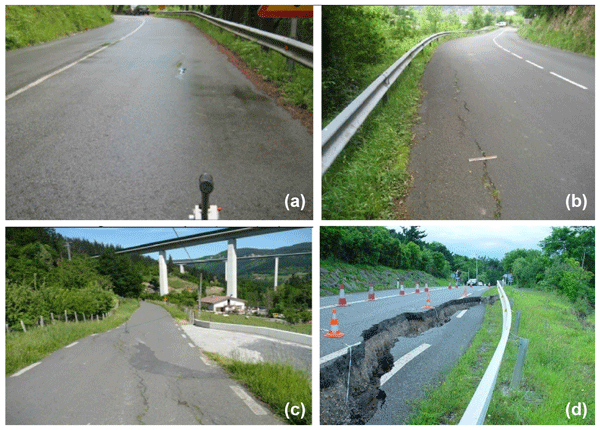 Borgatti, L. and Soldati, M.: Landslides as a geomorphological proxy for climate change: A record from the Dolomites (northern Italy), Geomorphology, 120, 56–64, https://doi.org/10.1016/j.geomorph.2009.09.015, 2010. Camargo, S. J. and Sobel, A. H.: Western North Pacific Tropical Cyclone Intensity and ENSO, J. Climate, 18, 2996–3006, https://doi.org/10.1175/JCLI3457.1, 2005. 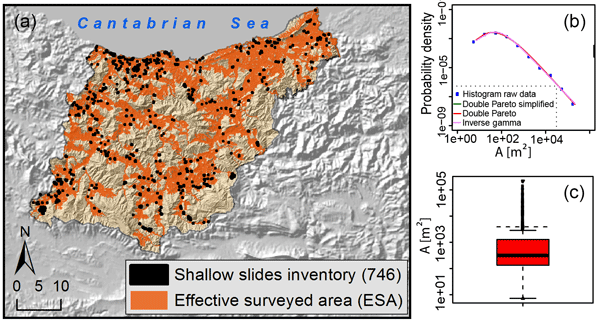 Carrara, A., Crosta, G., and Frattini, P.: Geomorphological and historical data in assessing landslide hazard, Earth Surf. Proc. Land., 28, 1125–1142, https://doi.org/10.1002/esp.545, 2003. Chan, J. C. L.: Tropical Cyclone Activity in the Northwest Pacific in Relation to the El Niño/Southern Oscillation Phenomenon, Mon. Weather Rev., 113, 599–606, https://doi.org/10.1175/1520-0493(1985)113<0599:TCAITN>2.0.CO;2, 1985. Chan, J. C. L.: Tropical Cyclone Activity over the Western North Pacific Associated with El Niño and La Niña Events, J. 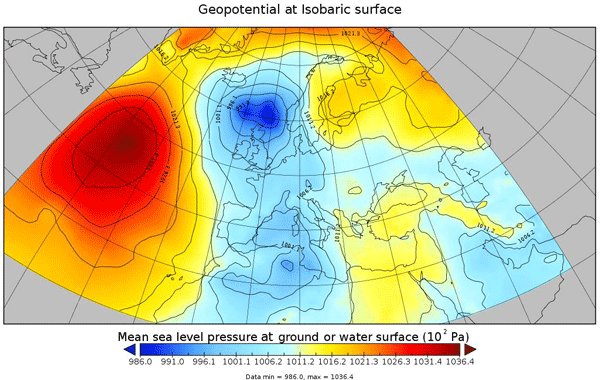 Climate, 13, 2960–2972, https://doi.org/10.1175/1520-0442(2000)013<2960:TCAOTW>2.0.CO;2, 2000. 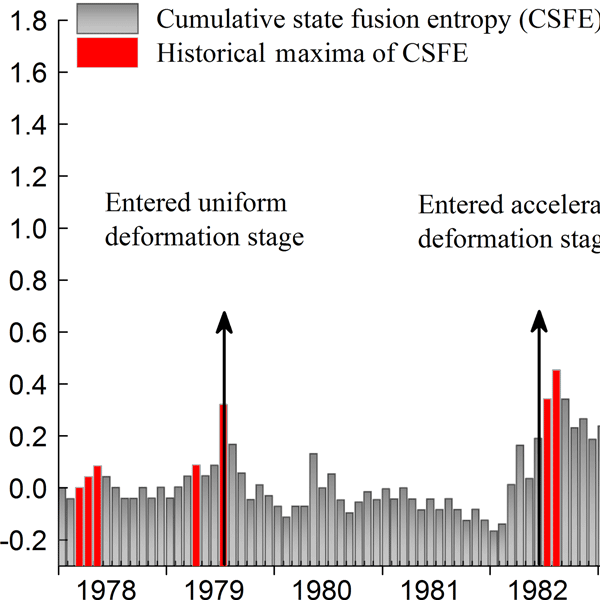 Chia, H. H. and Ropelewski, C. F.: The Interannual Variability in the Genesis Location of Tropical Cyclones in the Northwest Pacific, J. Climate, 15, 2934–2944, https://doi.org/10.1175/1520-0442(2002)015<2934:TIVITG>2.0.CO;2, 2002. Corporal-Lodangco, I. L., Leslie, L. M., and Lamb, P. J.: Impacts of ENSO on Philippine Tropical Cyclone Activity, J. Climate, 29, 1877–1897, https://doi.org/10.1175/JCLI-D-14-00723.1, 2015. Crozier, M. J.: Deciphering the effect of climate change on landslide activity: A review, Geomorphology, 124, 260–267, https://doi.org/10.1016/j.geomorph.2010.04.009, 2010. Curtis, S., Salahuddin, A., Adler, R. F., Huffman, G. J., Gu, G., and Hong, Y.: Precipitation Extremes Estimated by GPCP and TRMM: ENSO Relationships, J. Hydrometeorol., 8, 678–689, https://doi.org/10.1175/JHM601.1, 2007. 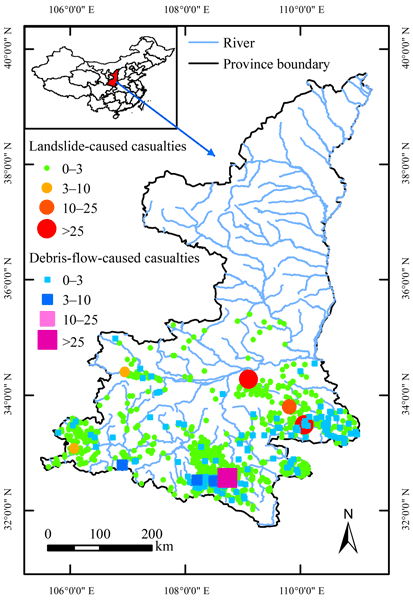 Dowling, C. and Santi, P.: Debris flows and their toll on human life: a global analysis of debris-flow fatalities from 1950 to 2011, Natural Hazards: Journal of the International Society for the Prevention and Mitigation of Natural Hazards, 71, 203–227, https://doi.org/10.1007/s11069-013-0907-4, 2014. DUDBC: Building Codes, Department of Urban Development and Building Construction, Ministry of Urban Development, Government of Nepal, Nepal, available at: http://www.dudbc.gov.np/?lang=en (last access: 20 February 2018), 1994. Dutta, T., Kim, K.-H., Uchimiya, M., Kwon, E. E., Jeon, B.-H., Deep, A., and Yun, S.-T.: Global demand for rare earth resources and strategies for green mining, Environ. Res., 150, 182–190, https://doi.org/10.1016/j.envres.2016.05.052, 2016. Elsner, J. B., Kara, A. B., and Owens, M. A.: Fluctuations in North Atlantic Hurricane Frequency, J. Climate, 12, 427–437, https://doi.org/10.1175/1520-0442(1999)012<0427:FINAHF>2.0.CO;2, 1999. Espinoza Villar, J. C., Ronchail, J., Guyot, J. L., Cochonneau, G., Naziano, F., Lavado, W., De Oliveira, E., Pombosa, R., and Vauchel, P.: Spatio-temporal rainfall variability in the Amazon basin countries (Brazil, Peru, Bolivia, Colombia, and Ecuador), Int. J. Climatol., 29, 1574–1594, https://doi.org/10.1002/joc.1791, 2009. ESRI: World Cities data, available at: http://www.arcgis.com/home/item.html?id=dfab3b294ab24961899b2a98e9e8cd3d, last access: 19 February 2018. Fang, Y. and Pal, A.: Drivers of Urban Sprawl in Urbanizing China – A Political Ecology Analysis, Environ. Urban., 28, 599–616, https://doi.org/10.1177/0956247816647344, 2016. Froude, M. J. and Petley, D. N.: Global Fatal Landslide Database Web Application: non-seismic landslide events between 2004 and 2016, available at: https://shefuni.maps.arcgis.com/apps/webappviewer/index.html?id=98462998953c4f1fbd7caaa166373f63, last access: 9 August 2018. GADM: GADM maps and data, available at: https://gadm.org/index.html, last access: 1 June 2017. Garcia, N., Ferreira, R. N., and Latrubesse, E. M.: Ch1 Climate and Geomorphologic-related Disasters in Latin America, in: Natural Hazards and Human-Exacerbated Disasters in Latin America, Special Volumes of Geomorphology, edited by: Latrubesse, E. M., Elsevier, Nature, Amsterdam, the Netherlands, 550 pp., 2009. Gardner, J. S. and Dekens, J.: Mountain hazards and the resilience of social–ecological systems: lessons learned in India and Canada, Nat. Hazards, 41, 317–336, https://doi.org/10.1007/s11069-006-9038-5, 2007. Glade, T.: Landslide occurrence as a response to land use change: a review of evidence from New Zealand, Catena, 51, 297–314, https://doi.org/10.1016/S0341-8162(02)00170-4, 2003. Glade, T. and Crozier, M. J.: The Nature of Landslide Hazard Impact, in: Landslide Hazard and Risk, John Wiley & Sons Ltd, Chichester, England, 41–74, 2005. Global Witness: Jade: Myanmar's “big state secret”, Global Witness Report, October 2015, available at: http://globalwitness.org (last access: 15 December 2016), 2015. Google Earth: available at: https://earth.google.com/web/, last access: 8 June 2018. Google Maps: available at: https://www.google.co.uk/maps, last access: 8 June 2018. Govt. of India: Basic Road Statistics of India 2015–2016, Ministry of Road Transport and Highways, Transport Research Wing, Government of India, New Delhi, India, 2016. Govt. of Nepal: Statistics of strategic road network SSRN 2015/2016, Department of Roads, Ministry of Physical Infrastructure and Transport, Government of Nepal, Nepal, 2016. GPCC: Global Precipitation Climatology Centre monthly precipitation dataset, file: precip.mon.combined.total.v7.nc, available at: https://www.esrl.noaa.gov/psd/data/gridded/data.gpcc.html, last access: 10 February 2018. 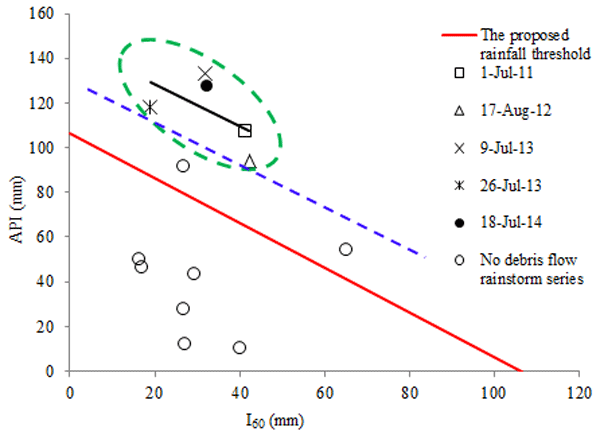 Grimm, A. M. and Tedeschi, R. G.: ENSO and Extreme Rainfall Events in South America, J. Climate, 22, 1589–1609, https://doi.org/10.1175/2008JCLI2429.1, 2009. Guha-Sapir, D., Below, R., and Hoyois, P. H.: EM-DAT: International Disaster Database, Université Catholique de Louvain, Brussels, Belgium, available at: http://www.emdat.be, last access: 19 February 2018. Haigh, M. J., Rawat, J. S., and Bartarya, S. K.: Environmental Indicators of Landslide Activity along the Kilbury Road, Nainital, Kumaun Lesser Himalaya, Mt. Res. Dev., 9, 25–33, https://doi.org/10.2307/3673462, 1989. Hallegatte, S., Vogt-Schilb, A., Rozenberg, J., and Bangalore, M.: Unbreakable: Building the Resilience of the Poor in the Face of Natural Disasters, World Bank Publications, Washington, USA, 201 pp., 2016. He, J. and Liu, B.: The East Asian subtropical summer monsoon: Recent progress, J. Meteorol. Res., 30, 135–155, https://doi.org/10.1007/s13351-016-5222-z, 2016. He, J., Ju, J., Wen, Z., Junmei, L., and Jin, Q.: A review of recent advances in research on Asian monsoon in China, Adv. Atmos. Sci., 24, 972–992, https://doi.org/10.1007/s00376-007-0972-2, 2007. Hearn, G. J. (Ed. 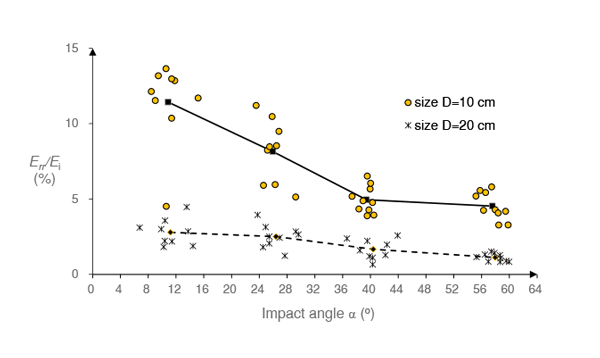 ): Slope Engineering for Mountain Roads. Geological Society, London, Engineering Geology Special Publications, 24, 2011. 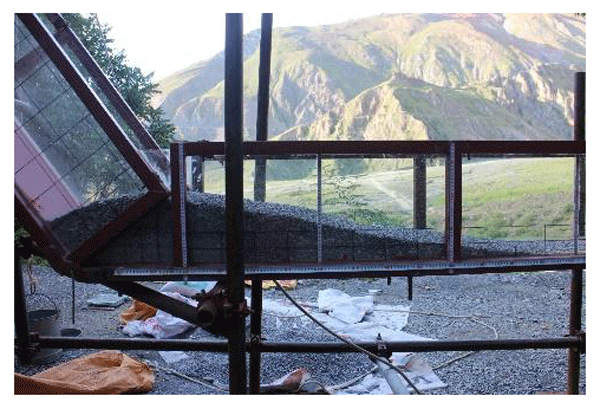 Hearn, G. J. and Shakya, N. M.: Engineering challenges for sustainable road access in the Himalayas, https://doi.org/10.1144/qjegh2016-109, 2017. Hervás, J. and Bobrowsky, P.: Mapping: Inventories, susceptibility, hazard and risk, in: Landslides – Disaster Risk Reduction, edited by: Sassa, K. and Canuti, P., Springer, Berlin, Germany, 321–349, 2009. Holcombe, E. A., Beesley, M. E. W., Vardanega, P. J., and Sorbie, R.: Urbanisation and landslides: hazard drivers and better practices, Proc. Inst. Civ. Eng.-Geotech. Eng., 169, 137–144, https://doi.org/10.1680/jcien.15.00044, 2016. 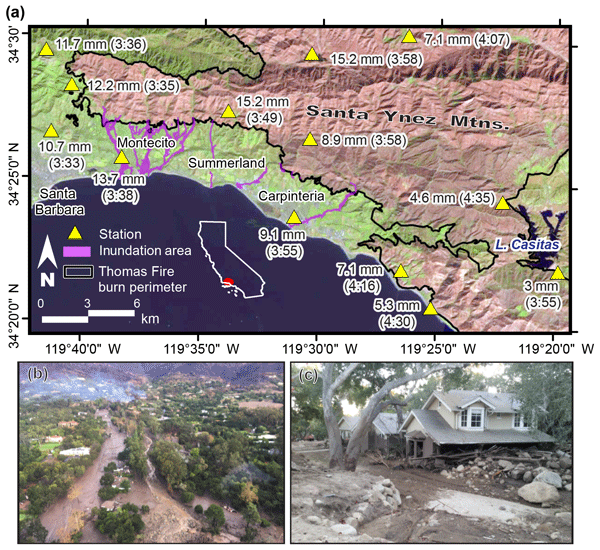 Hong, Y., Adler, R., and Huffman, G.: Use of satellite remote sensing data in the mapping of global landslide susceptibility, Nat. Hazards, 43, 245–256, https://doi.org/10.1007/s11069-006-9104-z, 2007. Hruschka, F. and Echavarría, C., Rock-Solid Chances for Responsible Artisanal Mining, Series on Responsible ASM No.3, Alliance for Responsible Mining, 2011. 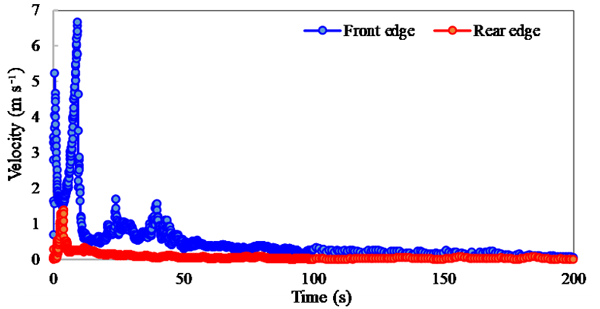 Imaizumi, F., Sidle, R. C., and Kamei, R.: Effects of forest harvesting on the occurrence of landslides and debris flows in steep terrain of central Japan, Earth Surf. Proc. Land., 33, 827–840, https://doi.org/10.1002/esp.1574, 2008. Innes, J. L.: Lichenometric dating of debris-flow deposits in the Scottish Highlands, Earth Surf. Proc. Land., 8, 579–588, https://doi.org/10.1002/esp.3290080609, 1983. Islam, M. S., Jahid Hasan, G. M., and Chowdhury, M. A. I.: Destroying hills in the northeastern part of Bangladesh: A qualitative assessment of extent of the problem and its probable impact, Int. J. Environ. Sci. Te., 2, 301–308, https://doi.org/10.1007/BF03325890, 2006. Ives, J. D. and Messerli, B.: The Himalayan Dilemma: Reconciling Development and Conservation, The United Nations University, Routledge, London, 1989. Jones, S., Oven, K. J., and Wisner, B.: A comparison of the governance landscape of earthquake risk reduction in Nepal and the Indian State of Bihar, Int. J. Disast. Risk Re., 15, 29–42, https://doi.org/10.1016/j.ijdrr.2015.10.011, 2016. Kim, J.-H., Ho, C.-H., Kim, H.-S., and Choi, W.: 2010 Western North Pacific Typhoon Season: Seasonal Overview and Forecast Using a Track-Pattern-Based Model, Weather Forecast., 27, 730–743, https://doi.org/10.1175/WAF-D-11-00109.1, 2012. 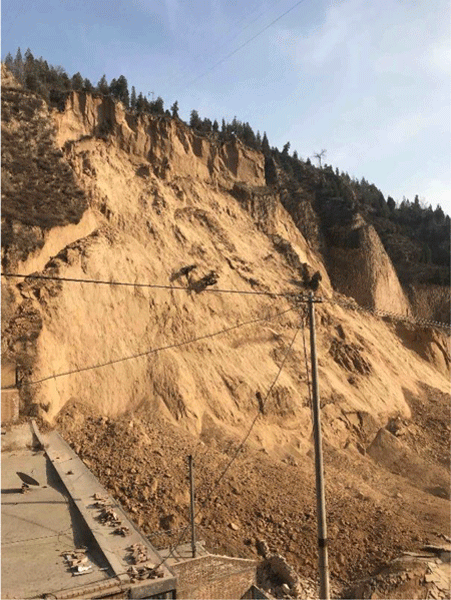 Kirschbaum, D. B., Adler, R., Hong, Y., Hill, S., and Lerner-Lam, A.: A global landslide catalog for hazard applications: method, results, and limitations, Nat. Hazards, 52, 561–575, https://doi.org/10.1007/s11069-009-9401-4, 2010. 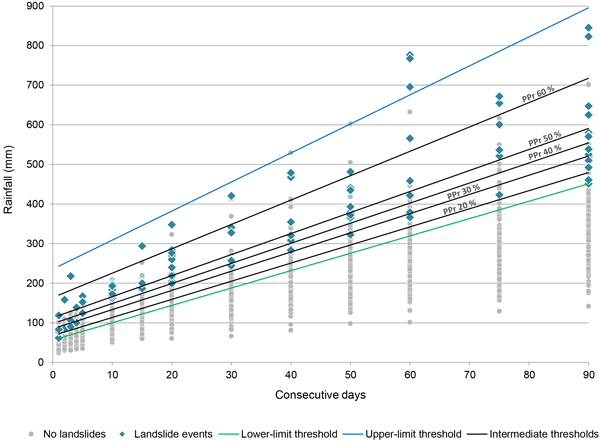 Kirschbaum, D., Adler, R., Adler, D., Peters-Lidard, C., and Huffman, G.: Global Distribution of Extreme Precipitation and High-Impact Landslides in 2010 Relative to Previous Years, J. Hydrometeorol., 13, 1536–1551, https://doi.org/10.1175/JHM-D-12-02.1, 2012. 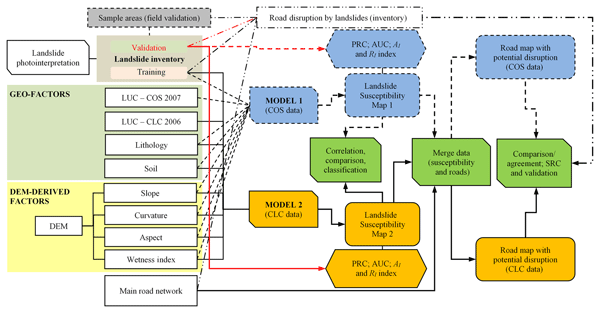 Kirschbaum, D., Stanley, T., and Zhou, Y.: Spatial and temporal analysis of a global landslide catalog, Geomorphology, 249, 4–15, https://doi.org/10.1016/j.geomorph.2015.03.016, 2015. Kubota, H., Shirooka, R., Matsumoto, J., Cayanan, E. O., and Hilario, F. D.: Tropical cyclone influence on the long-term variability of Philippine summer monsoon onset, Prog. Earth Planet Sci., 4, 27, https://doi.org/10.1186/s40645-017-0138-5, 2017. Kumar, A. and Jaiswal, A.: Empirical Study of Twitter and Tumblr for Sentiment Analysis using Soft Computing Techniques, in: Proceedings of the World Congress on Engineering and Computer Science, vol. 1, iaeng.org, available at: http://www.iaeng.org/publication/WCECS2017/WCECS2017_ pp472-476.pdf (last access: 11 July 2018), 2017. Kumar, A. and Pushplata: Building regulations for hill towns of India, HBRC Journal, 11, 275–284, https://doi.org/10.1016/j.hbrcj.2014.06.006, 2015. 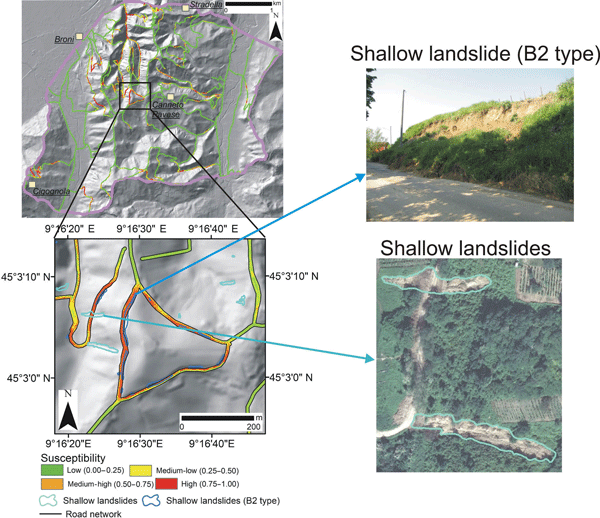 Lee, C.-F., Huang, W.-K., Chang, Y.-L., Chi, S.-Y., and Liao, W.-C.: Regional landslide susceptibility assessment using multi-stage remote sensing data along the coastal range highway in northeastern Taiwan, Geomorphology, 300, 113–127, https://doi.org/10.1016/j.geomorph.2017.10.019, 2018. Lennartz, T.: Constructing Roads–Constructing Risks? Settlement Decisions in View of Landslide Risk and Economic Opportunities in Western Nepal, Mt. Res. Dev., 33, 364–371, https://doi.org/10.1659/MRD-JOURNAL-D-13-00048.1, 2013. 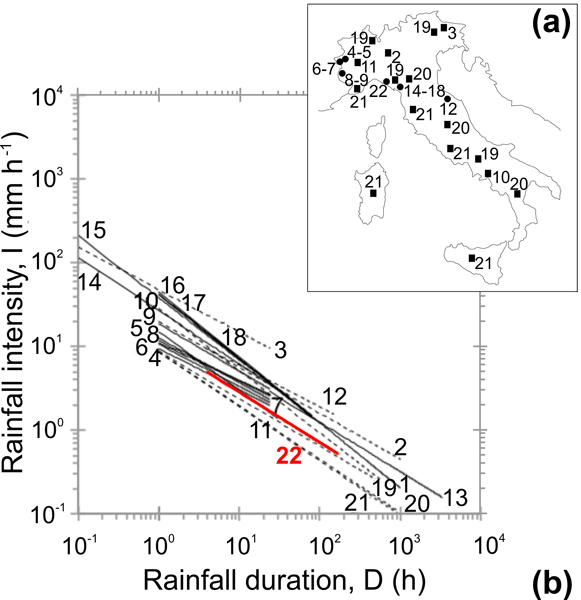 Lonigro, T., Gentile, F., and Polemio, M., The influence of climate variability and land use variations on the occurrence of landslide events (Subappennino Dauno, Southern Italy), Rend. Online Soc. Geol. Ital., 35, 192–195, https://doi.org/10.3301/ROL.2015.98, 2015. Lu, B., Ren, H.-L., Scaife, A. 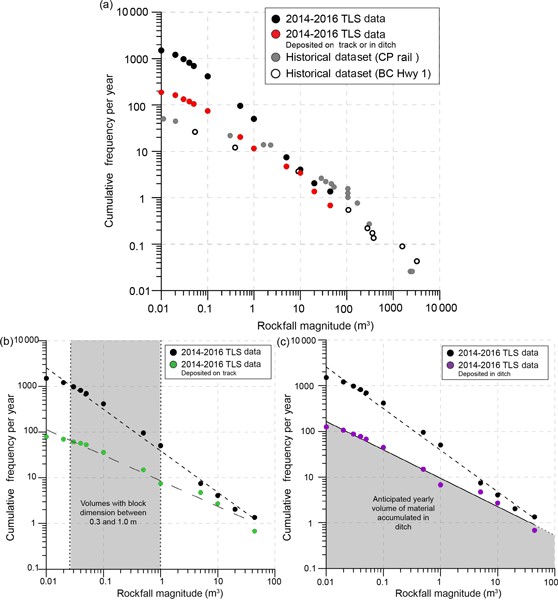 A., Wu, J., Dunstone, N., Smith, D., Wan, J., Eade, R., MacLachlan, C., and Gordon, M.: An extreme negative Indian Ocean Dipole event in 2016: dynamics and predictability, Clim. Dynam., 51, 1–12, https://doi.org/10.1007/s00382-017-3908-2, 2017. Lyon, B. and Camargo, S. J.: The seasonally-varying influence of ENSO on rainfall and tropical cyclone activity in the Philippines, Clim. Dynam., 32, 125–141, https://doi.org/10.1007/s00382-008-0380-z, 2009. Ma, L. J. C.: Urban Transformation in China, 1949–2000: A Review and Research Agenda, Environ. Plann. A, 34, 1545–1569, https://doi.org/10.1068/a34192, 2002. Magaña, V., Amador, J. A., and Medina, S.: The Midsummer Drought over Mexico and Central America, J. Climate, 12, 1577–1588, https://doi.org/10.1175/1520-0442(1999)012<1577:TMDOMA>2.0.CO;2, 1999. Moreiras, S. M.: Climatic effect of ENSO associated with landslide occurrence in the Central Andes, Mendoza Province, Argentina, Landslides, 2, 53–59, https://doi.org/10.1007/s10346-005-0046-4, 2005. Murshed, M. M.: Cutting of hills and human tragedy: An example of law enforcement loophole in the southeastern region of Bangladesh, International Journal of Geomatics and Geosciences, 4, 410 available at: http://www.ipublishing.co.in/jggsarticles/volfour/EIJGGS4035.pdf (last access: 11 July 2018), 2013. Naylor, R. L., Battisti, D. S., Vimont, D. J., Falcon, W. P., and Burke, M. B.: Assessing risks of climate variability and climate change for Indonesian rice agriculture, P. Natl. Acad. Sci. USA, 104, 7752–7757, https://doi.org/10.1073/pnas.0701825104, 2007. NOAA: Tropical Cyclone Climatology, National Oceanic and Atmospheric Administration National Hurricane Center, available at: https://www.nhc.noaa.gov/climo/, last access: 20 February 2018a. NOAA: Cold and Warm episodes by season, Historical El Nino/La Nina episodes (1950–present), National Oceanic and Atmospheric Administration National Hurricane Center, available at: http://origin.cpc.ncep.noaa.gov/products/analysis_ monitoring/ensostuff/ONI_v5.php, last access: 20 February 2018b. NOAA: Historical Hurricane Tracks, available at: https://coast.noaa.gov/hurricanes/, last access: 20 February 2018c. Open Street Map: https://www.openstreetmap.org/, last access: 8 June 2018. Oven, K. J., Petley, D. N., Rigg, J. R., Dunn, C. E., and Rosser, N. J.: Landscape, livelihoods and risk: A study of community vulnerability to landslide events in Central Nepal, in: Climate change and disaster risk reduction, edited by: Aryal, K. R. and Gadema, Z., Disaster and Development Centre, School of Applied Science, Northumbria University, 94–102, 2008. Planet Team: Planet Application Program Interface: In Space for Life on Earth. San Francisco, CA, available at: https://api.planet.com, last access: 11 November 2017. 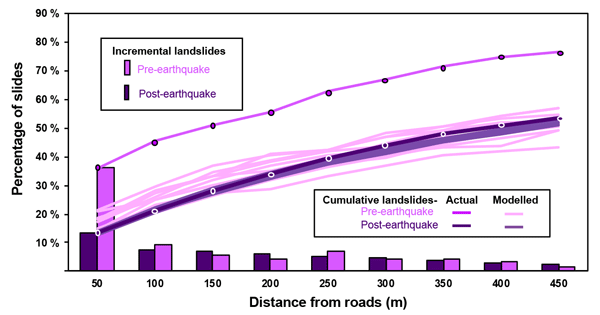 Petley, D.: Global patterns of loss of life from landslides, Geology, 40, 927–930, https://doi.org/10.1130/G33217.1, 2012. 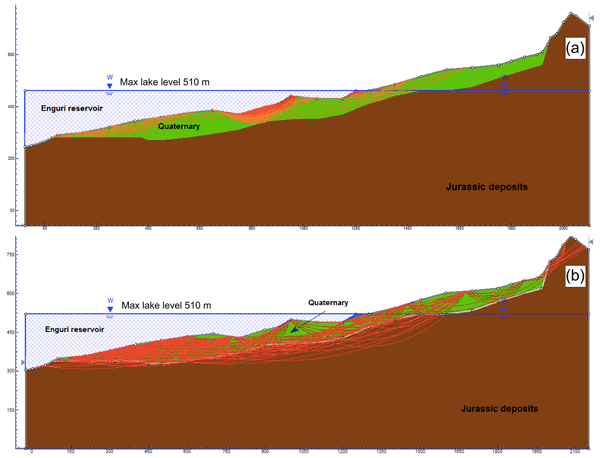 Petley, D. N.: On the impact of urban landslides, Geological Society, London, Eng. Geol. Sp., 22, 83–99, https://doi.org/10.1144/EGSP22.6, 2009. Petley, D. N.: On the impact of climate change and population growth on the occurrence of fatal landslides in South, East and SE Asia, Q. J. Eng. Geol. Hydroge., 43, 487–496, https://doi.org/10.1144/1470-9236/09-001, 2010. Petley, D. N., Dunning, S. A., and Rosser, N. J.: The analysis of global landslide risk through the creation of a database of worldwide landslide fatalities, in: Landslide Risk Management, edited by: Hungr, O., Fell, R., Couture, R., and Eberhardt, E., Taylor and Francis, London, UK, 367–373, 2005. Petley, D. N., Hearn, G. J., Hart, A., Rosser, N. J., Dunning, S. A., Oven, K., and Mitchell, W. A.: Trends in landslide occurrence in Nepal, Nat. Hazards, 43, 23–44, https://doi.org/10.1007/s11069-006-9100-3, 2007. Rao, V. B. and Hada, K.: Characteristics of rainfall over Brazil: Annual variations and connections with the Southern Oscillation, Theor. Appl. Climatol., 42, 81–91, https://doi.org/10.1007/BF00868215, 1990. Sati, S. P., Sundriyal, Y. P., and Rana, N.: Recent landslides in Uttarakhand: nature's fury or human folly, Curr. Sci., 100, 1617–1620, 2011. Schneider, A. and Woodcock, C. E.: Compact, Dispersed, Fragmented, Extensive? A Comparison of Urban Growth in Twenty-five Global Cities using Remotely Sensed Data, Pattern Metrics and Census Information, Urban Stud., 45, 659–692, https://doi.org/10.1177/0042098007087340, 2008. Sepúlveda, S. A. and Petley, D. N.: Regional trends and controlling factors of fatal landslides in Latin America and the Caribbean, Nat. Hazards Earth Syst. Sci., 15, 1821–1833, https://doi.org/10.5194/nhess-15-1821-2015, 2015. Seneviratne, S. I., Nicholls, N., Easterling, D., Goodess, C. M., Kanae, S., Kossin, J., Luo, Y., Marengo, J., McInnes, K., Rahimi, M., Reichstein, M., Sorteberg, A., Vera, C., and Zhang, X.: Changes in climate extremes and their impacts on the natural physical environment, in: Managing the Risks of Extreme Events and Disasters to Advance Climate Change Adaptation, edited by: Field, C. B., Barros, V., Stocker, T. F., Qin, D., Dokken, D. J., Ebi, K. L., Mastrandrea, M. D., Mach, K. J., Plattner, G.-K., Allen, S. K., Tignor, M., and Midgley, P. M., A Special Report of Working Groups I and II of the Intergovernmental Panel on Climate Change (IPCC), Cambridge University Press, Cambridge, UK, and New York, NY, USA, 109–230, 2012. Sierra, J. P., Arias, P. A., and Vieira, S. C.: Precipitation over Northern South America and Its Seasonal Variability as Simulated by the CMIP5 Models, Adv. Meteorol., 2015, 634720, https://doi.org/10.1155/2015/634720, 2015. Singh, R., Umrao, R. K., and Singh, T. N.: Stability evaluation of road-cut slopes in the Lesser Himalaya of Uttarakhand, India: conventional and numerical approaches, B. Eng. Geol. Environ., 73, 845–857, https://doi.org/10.1007/s10064-013-0532-1, 2014. 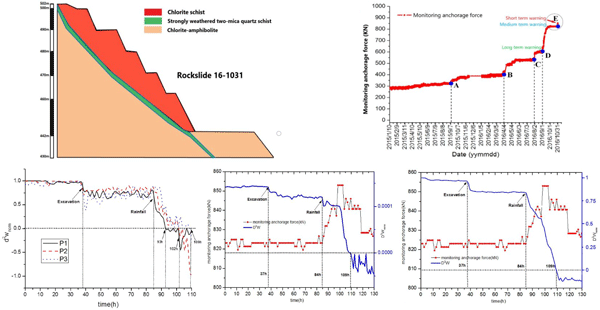 Soldati, M., Corsini, A., and Pasuto, A.: Landslides and climate change in the Italian Dolomites since the Late glacial, Catena, 55, 141–161, https://doi.org/10.1016/S0341-8162(03)00113-9, 2004. Smyth, C. G. and Royle, S. A.: Urban landslide hazards: incidence and causative factors in Niterói, Rio de Janeiro State, Brazil, Appl. Geogr., 20, 95–118, https://doi.org/10.1016/S0143-6228(00)00004-7, 2000. Srivastava, A., Goyal, C. R., and Jain, A.: Review of Causes of foundation failures and their possible preventive and remedial measures, in: Proceedings of 4th KKU- International Engineering Conference (KKU-IENC2012), Khon Kaen, Thailand, 10–12 May 2012. 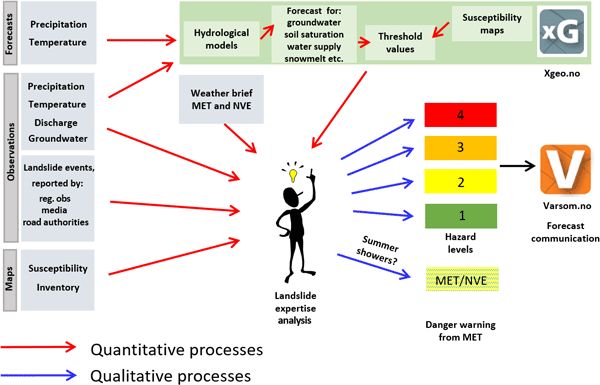 Stanley, T. and Kirschbaum, D. B.: A heuristic approach to global landslide susceptibility mapping, Nat. Hazards, 87, 145–164, https://doi.org/10.1007/s11069-017-2757-y, 2017. Taylor, F. E., Malamud, B. D., Freeborough, K., and Demeritt, D.: Enriching Great Britain's National Landslide Database by searching newspaper archives, Geomorphology, 249, 52–68, https://doi.org/10.1016/j.geomorph.2015.05.019, 2015. Tedeschi, R. G., Cavalcanti, I. F. A., and Grimm, A. M.: Influences of two types of ENSO on South American precipitation, Int. J. Climatol., 33, 1382–1400, https://doi.org/10.1002/joc.3519, 2013. The Economist: Rubies in the sky with diamonds, available at: http://www.economist.com/node/21528623 (last access: 20 February 2018), 2011. Trenberth, K. E. and Shea, D. J.: Atlantic hurricanes and natural variability in 2005, Geophys. Res. Lett., 33, L12704, https://doi.org/10.1029/2006GL026894, 2006. Tschoegl, L., Below, R., and Guha-Sapir, D.: An analytical review of selected data sets on natural disasters and impacts, Centre for Research on the Epidemiology of Disasters, UNDP/CRED Workshop on Improving Compilation of Reliable Data on Disaster Occurrence and Impact, Bangkok, Thailand, 21 pp., 2006. UNESCO: Annual summary of information on natural disasters, no. 6: 1971, United Nations Educational, Scientific and Cultural Organization, Paris, France, 82 pp., 1973. United Nations Statistics Division (UNSD): Standard country or area codes for statistical use, available at: http://unstats.un.org/unsd/methods/m49/m49.htm (last access: 10 August 2016), 2018. Valdiya, K. S.: Catastrophic Landslides in Uttaranchal, Central Himalaya, J. Geol. Soc. India, 52, 483–486, 1998. Van Den Eeckhaut, M. and Hervás, J.: State of the art of national landslide databases in Europe and their potential for assessing landslide susceptibility, hazard and risk, Geomorphology, 139–140, 545–558, https://doi.org/10.1016/j.geomorph.2011.12.006, 2012.
van Westen, C. J., Castellanos, E., and Kuriakose, S. L.: Spatial data for landslide susceptibility, hazard, and vulnerability assessment: An overview, Eng. 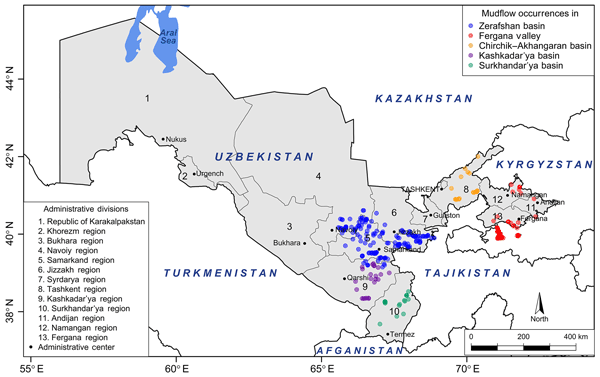 Geol., 102, 112–131, https://doi.org/10.1016/j.enggeo.2008.03.010, 2008. Varnes, D. J. and IAEG Commission on Landslides: Landslide hazard zonation: a review of principles and practice: Paris, UNESCO, Paris, France, 63 pp., 1984. 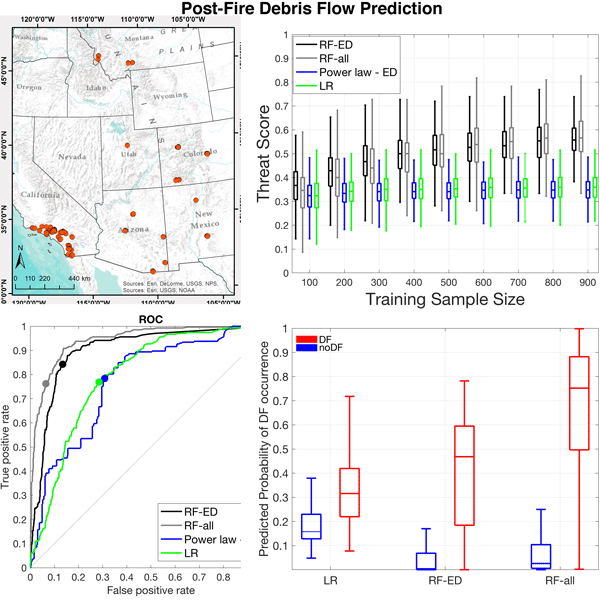 Webster, P. J., Magaña, V. O., Palmer, T. N., Shukla, J., Tomas, R. A., Yanai, M., and Yasunari, T.: Monsoons: Processes, predictability, and the prospects for prediction, J. Geophys. Res., 103, 14451–14510, https://doi.org/10.1029/97JC02719, 1998. World Bank: The World Bank data, available at: https://data.worldbank.org/indicator/, last access: 19 February 2018a. World Bank: Transport: At a Glance, The World Bank, available at: http://www.worldbank.org/en/topic/transport/overview, last access: 22 February 2018b. 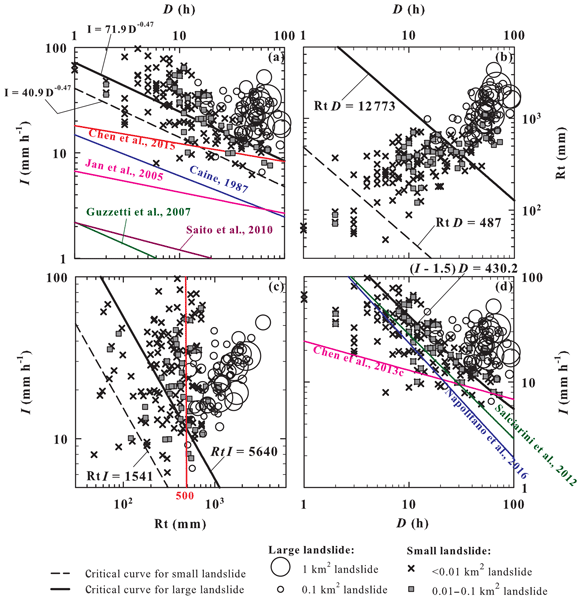 Wu, X., Chen, X., Benjamin Zhan, F., and Hong, S.: Global research trends in landslides during 1991–2014: a bibliometric analysis, Landslides, 12, 1215–1226, https://doi.org/10.1007/s10346-015-0624-z, 2015. Xie, P., Janowiak, J. E., Arkin, P. A., Adler, R., Gruber, A., Ferraro, R., Huffman, G. J., and Curtis, S.: GPCP Pentad Precipitation Analyses: An Experimental Dataset Based on Gauge Observations and Satellite Estimates, J. Climate, 16, 2197–2214, https://doi.org/10.1175/2769.1, 2003. Yang, H., Xia, J., Thompson, J. R., and Flower, R. J.: Urban construction and demolition waste and landfill failure in Shenzhen, China, Waste Manage., 63, 393–396, https://doi.org/10.1016/j.wasman.2017.01.026, 2017. Yang, F. and Lau, K.-M.: Trend and variability of China precipitation in spring and summer: linkage to sea-surface temperatures, Int. J. Climatol., 24, 1625–1644, https://doi.org/10.1002/joc.1094, 2004. Yu, K., Wang, S., and Li, D.: The negative approach to urban growth planning of Beijing, China, J. Environ. Plann. Man., 54, 1209–1236, https://doi.org/10.1080/09640568.2011.564488, 2011. 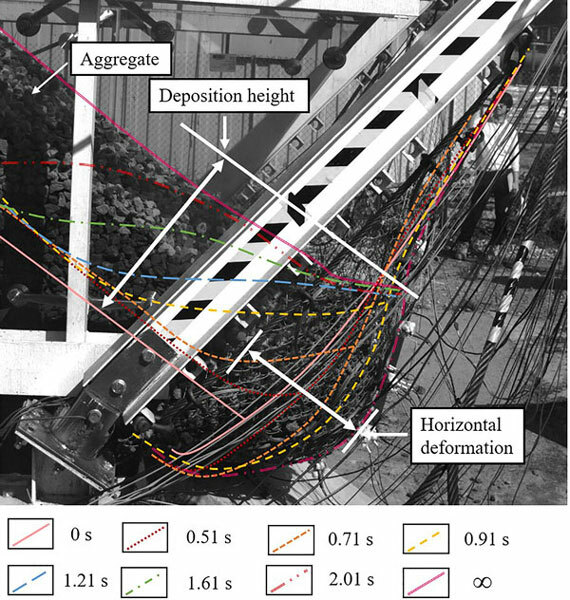 Zhang, F., Liu, G., Chen, W., Liang, S., Chen, R., and Han, W.: Human-induced landslide on a high cut slope: a case of repeated failures due to multi-excavation, Journal of Rock Mechanics and Geotechnical Engineering, 4, 367–374, https://doi.org/10.3724/SP.J.1235.2012.00367, 2012. Zhou, T., Wu, B., and Dong, L.: Advances in research of ENSO changes and the associated impacts on Asian-Pacific climate, Asia-Pacific J. Atmos. Sci., 50, 405–422, https://doi.org/10.1007/s13143-014-0043-4, 2014. 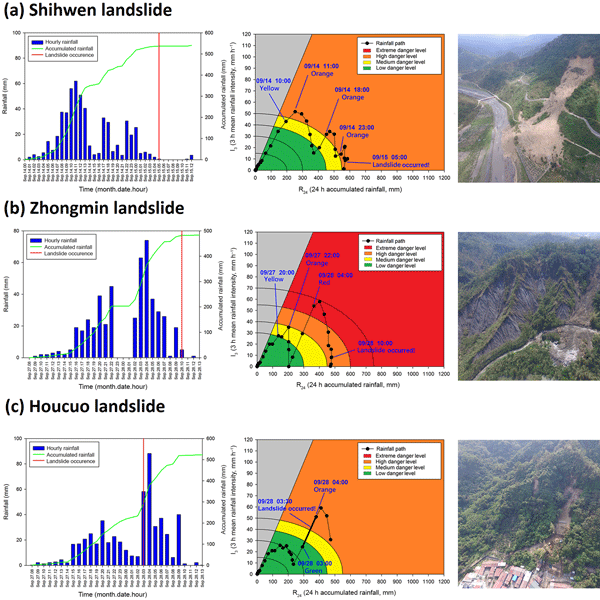 Zou, F., Zhan, Q., and Zhang, W.: Quantifying the impact of human activities on geological hazards in mountainous areas: evidence from Shennongjia, China, Nat. Hazards, 90, 137–155, https://doi.org/10.1007/s11069-017-3039-4, 2018.